On a brighter note...our garden is blooming beautiful atm. Had the day with my 3 yo nephew, RMW today pottering around, it's so nice being around "little ones" he cracks me up! 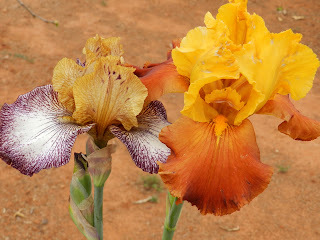 We took some photos of our Iris' they are so hardy...and need to be to survive at my place;) Have a great day. Suze.